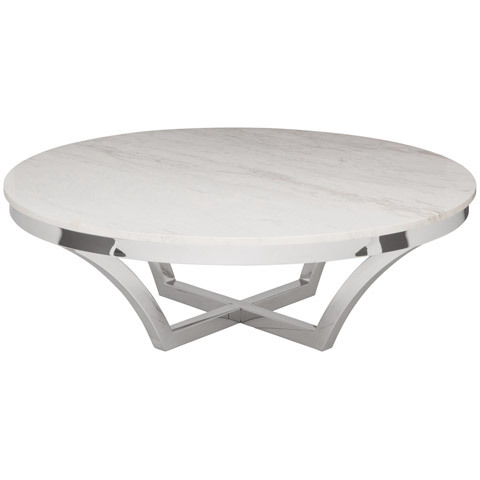 Like the Roman goddess, the Minerva Marble Coffee Table is designed to represent a dawn of emerging style in your space. 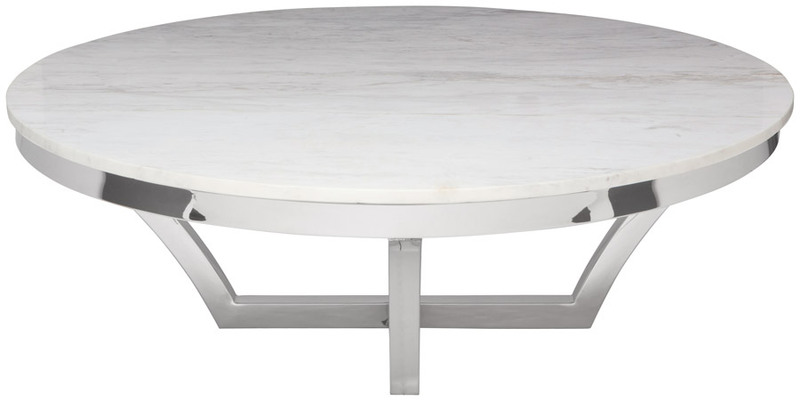 Crafted with a round polished steel base and topped with a 1-inch thick circular marble top, Minerva offers bright, clean lines to enrich your modern living area. All at once, Minerva manages to be both visually light with gracefully arched legs, chrome finish and white marbe top, while remaining physically solid (weighing in at 150 lbs). 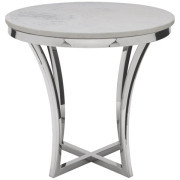 Also be sure to check out our Ruth White Marble End Table!